The Singapore Marathon had its beginning in 1982 when it was first established as a ‘fun run’ and 28th edition later, the event is now an IAAF Gold Label Race, and could easily attracts participation up to 50,000 per race. Organised by then the Singapore International Marathon Organising Committee, the inaugural event saw Raymond Crab from the UK and Winnie Ng from Hong Kong to first cross the finishing line in a time of 2:24.19 and 2:55.11 respectively. The men local category was won by Goh Gam Seng who finished the course in a time of 2:43.55. The event after a resounding success two years earlier and with the encouraging response, it returned for its second edition in 1984. The sport of running was getting popular with the masses back then, and the Singapore Marathon became the ideal event for one to seek a personal challenge. It was a race not often against a competitor but a race against oneself. 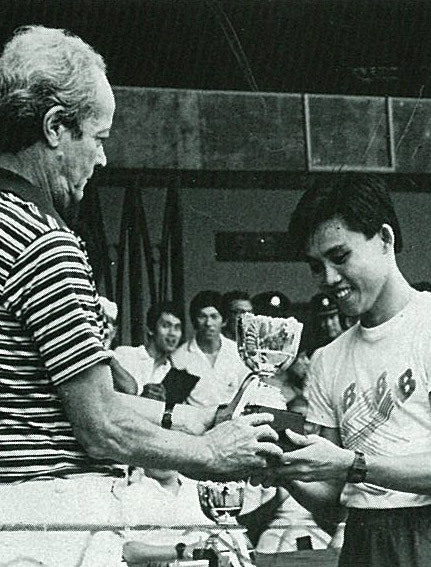 In the 1984 competition, Goh Gam Seng successfully defended his men local title, coming in an improved time of 2:35.54. The race attracted quality competitors from world over. L to R: Winner of Men Open, participants shot along Nicoll Highway and Yeo Poh Cheow, women local winner. Over the years, the event has grown in popularity. Recognised by International Association of Athletics Federations, Singapore Marathon initiatives was also in-line with the Singapore National Olympic Council’s policy of promoting Sports Excellence in Singapore. Below are more galleries to the most anticipated running event of the year, and we hope this article shed more insight on Singapore marathon beginnings.